Choosing a career is a great start, but there is a lot more to do after that. You need to take into account your interests, values, and skills when choosing a career. Just because the feedback of an occupation is good, it doesn’t mean that occupation is right for you. You need to be focused and have a career action plan in place. 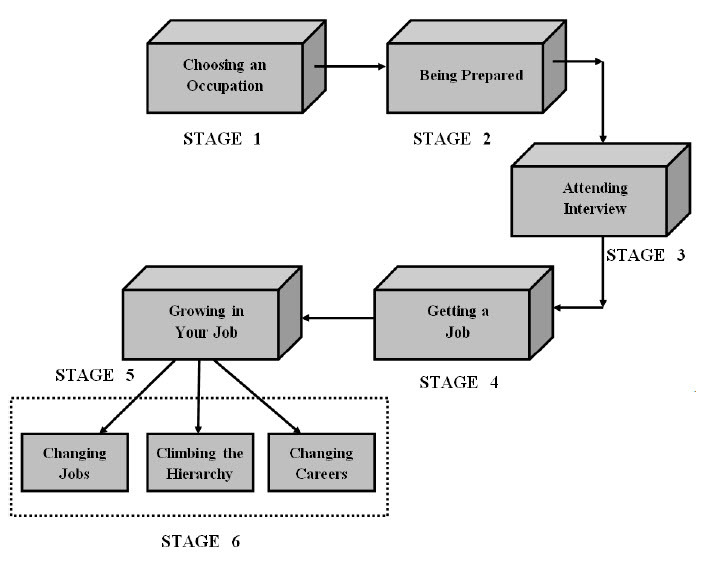 Career planning process has six stages and eventually ends in retirement. Choosing a career usually happens once in our lifetimes. Priorities and interests may change over the period of time—so it can also happen several times as you redefine yourself and your career goals. Career planning is a process, which requires a lot of involvement from your side. You should give it the time it deserves. It is a process that involves understanding more about yourself and the occupations which you are considering. It will help you make a well-thought about and well-informed decision. It will help you in achieving your long term career goals. Gathering career related information is an important part of the career planning process. This information includes educational background, training, job profile, salary, and career prospects, etc. While first-hand experience is great, it is definitely not necessary to have hands-on experience to form an idea about an occupation. There are other ways to explore an occupation. You can read about the job. You may read about it on the Internet or buy some good books on the subject. You can talk to people who work in that field. You may join an online forum where you can post your concerns and queries if any. You will get suitable answers. You can also read the already existing information. Most people are capable of performing well in at least two to three different professional fields. The trick is to develop a good understanding of your values, skills, interests and personality. 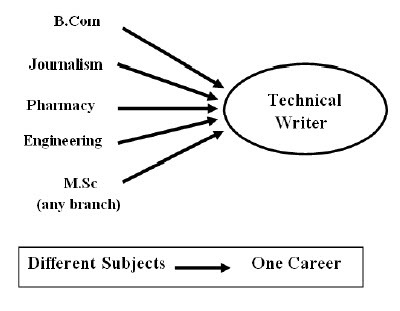 Then, explore those careers to find that one which best fits in your profile and interests. Career satisfaction can be found in many different careers. There are a number of options based on your interests, personality type and abilities. Example: In general, if you are artistic and creative, you may enjoy being an art teacher, or a writer, or a painter, or an actor, or a dancer. Being specific, you may be artistic and creative. You may love painting and dress designing, but you may just hate dancing and writing. As you acquire more experience, your values, interests, and ideas about career may change. A career doesn’t always follow a logical progression so avoid thinking that the road you choose to take at this point in your life will remain life long. Hobby is supposed to be some activities that you enjoy doing in your spare time. Webster’s Dictionary defines a hobby as a pursuit outside one’s regular occupation. 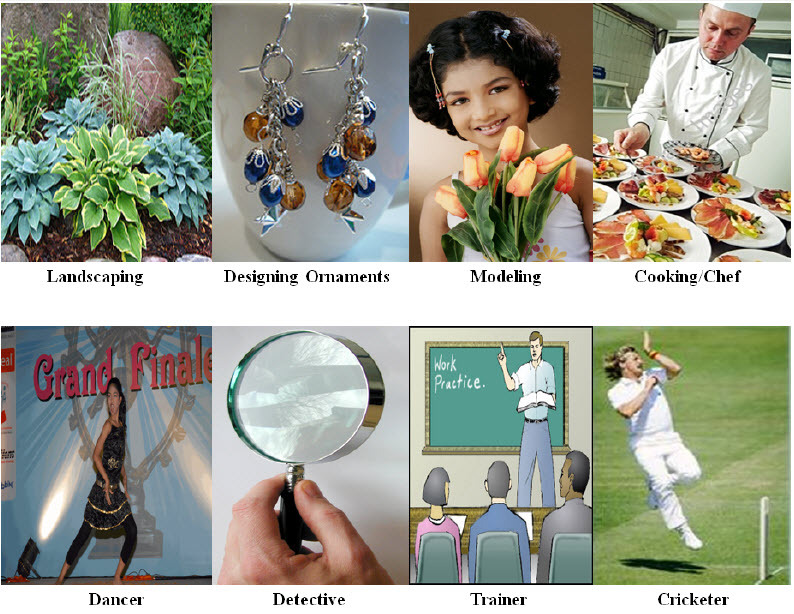 The definition suggests that hobby and occupation are two separate entities. When choosing a career, choose one that is related to what you enjoy doing, even in your spare time. Even though most of the hobby skills are gained informally, without formal education or training, you naturally become skilled in your hobbies. Then why do people not even think about their hobbies or interests when taking a decision about their career. Have you ever wondered what it would be like if you could spend more time on your hobby (like gardening, dancing, writing, acting, painting, or pottery) and get paid for it? People are usually interested and very skilled at their hobbies. The combination of interests and skills are very compelling reasons to choose a career. These days, many people are innovative and experimental. They believe in mixing pleasure with business. They try to make their hobbies their career and are doing well in it. Many a times what you think you enjoy doing may not translate to a career. There may be some aspects of it that is not for you. In such cases, do your job and save your hobby for your free time. Example: Even if you may have enjoyed training your dog a few tricks and to obey commands, doesn’t mean you can become an animal trainer or a veterinary doctor. Have you ever thought why the tailor who stitches well fitting clothes for you does not open a boutique? That is because he probably sees it as his job not as his passion. It is also possible that he lacks the passion and the drive to do something more. When you attempt to turn your hobby into a career, you should have passion, patience, motivation, drive, and preserverance to follow up with your interests. You should also do your home work and research your career choice thoroughly. Many employers look for qualities and skills that are not directly related to your main subject. Interpersonal skills, motivation, planning skills, critical thinking, organization skills, problem solving skills, positive attitude and the ability to work in groups are a few examples of what employers value. Most people find themselves working in fields that are only remotely related to their main subject. Unless you are planning to enter an area that requires specific technical skills, such as engineering, architecture, medicine, or nursing, to name a few, your major subject does not determine your career. These subjects are more career focused whereas the other majors prepare you for a number of career options. 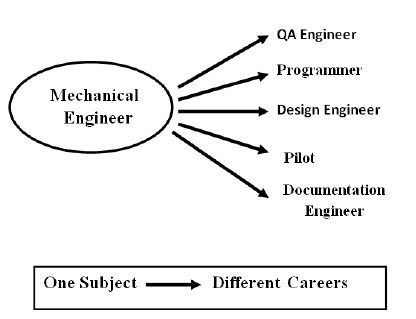 Example: Many computer specialist positions are filled by candidates who do not have degree in computer engineering. They have chosen subjects in graduation (B.Com, B.A, B.Sc, etc.) that is not related to computers. One major subject can lead to many different careers. One career can be reached through having a major in many different subjects. Even after getting a degree in a particular subject, students opt for business management in the areas that do not necessarily correlate with their major subject in graduation. Example: John has done his graduation in physics, but chose to do MBA in business communication. Similarly, Mary, chose to do MBA in human resources after completing her graduation in engineering (computer). So, in reality, it is possible to work in almost any career after graduating from a particular area. Most employers care more about your work-related experience and the skills that you have obtained than they do about your main subject at college. Hi there, simply become aware of your blog thru Google, and located that it is truly informative. Iâ€™m gonna watch out for brussels. I will be grateful for those who continue this in future. A lot of folks might be benefited from your writing. Cheers! Please let me know if you’re looking for a article writer for your weblog. You have some really good posts and I believe I would be a good asset. If you ever want to take some of the load off, I’d absolutely love to write some articles for your blog in exchange for a link back to mine. Please send me an e-mail if interested. Cheers! Hi, I am a technical writer and recently started this blog to share my ideas and opinion not only about technical writing, but about other topics as well. For me, it is a way for showcasing my thoughts, ideas, an opinion. Please read them when time permits and write in your suggestions. I like the valuable info you supply on your articles. Iâ€™ll bookmark your blog and take a look at again here regularly. I am slightly certain Iâ€™ll be informed lots of new stuff proper here! Best of luck for the following! I do not even understand how I stopped up here, however I assumed this post was once good. I do not understand who you are however definitely you’re going to a well-known blogger for those who aren’t already 😉 Cheers! To understand who I am, you can start with “About” me topic. I am a technical writer and recently started this blog to share my ideas and opinion not only about technical writing, but about other topics as well. Please read them when time permits and write in your suggestions. I do trust all the ideas you have presented on your post. They are really convincing and can definitely work. Nonetheless, the posts are too quick for beginners. Could you please lengthen them a little from next time? Thank you for the post. That is very interesting, You are an excessively professional blogger. I’ve joined your rss feed and look forward to seeking more of your fantastic post. Also, I’ve shared your web site in my social networks! Thanks for commenting and sharing my blog. Will be happy and please if people find my articles/blogs useful.